Family ties: Children with autism and their younger siblings often share a need for monitoring and support. Nearly half of siblings of children with autism have difficulties with attention, language, learning or mood, even when they do not have autism themselves, according to a study of 139 children from infancy to age 9. The study, published 9 October in Autism Research, suggests these siblings need extra support and monitoring as they grow1. A number of studies have tracked so-called ‘baby siblings’ of children with autism from infancy to age 3, finding that about 20 percent of these siblings go on to develop autism. Only a few studies have followed baby siblings longer to explore challenges that may emerge later. Conditions such as attention deficit hyperactivity disorder (ADHD), for example, often aren’t apparent until children start kindergarten. In the new study, researchers looked specifically at cognitive and language skills, psychological health and autism symptoms in 79 siblings of children with autism and 60 siblings of typically developing children, all ranging in age from 5 to 9 years. They relied on standardized tests such as the Autism Diagnostic Observation Schedule and the Child Behavior Checklist, as well as clinical observations and parent reports, to classify the siblings as typically developing or to indicate a clinical concern such as autism, broad autism phenotype, ADHD, speech or language delay, learning difficulties, or anxiety or mood problems. They found that 43 percent of children in the high-risk group have at least one area of clinical concern, compared with 12 percent of siblings of typically developing children. Apart from autism, symptoms of ADHD are the most prevalent, occurring in 13 percent of the high-risk children. “The rate of inattention and hyperactivity symptoms was surprisingly high,” says lead investigator Sally Ozonoff, vice chair for research in psychiatry and behavioral sciences at the University of California, Davis MIND Institute. Ozonoff says the findings suggest that doctors should monitor high-risk siblings for ADHD as well as autism. The researchers looked at reports of the children’s scores on these same tests at age 3 and found that 17 percent of the high-risk siblings showed concerning symptoms at an early age that resolved by age 9; another 12 percent of children in this group were developing typically early on but showed problems by age 9. In most cases, however, siblings of children with autism either displayed concerning symptoms at both ages (about 24 percent) or neither (47 percent). These diverse outcomes suggest that clinicians should closely track developmental milestones in siblings at risk for autism. But some experts warn that scrutinizing autism siblings too intensely may turn up signs of abnormal development where there are none. Instead, she says, scientists should expand assessments to move beyond parent reports and include real-world observations from teachers: How are the children getting along with peers? How well do they tackle everyday activities such as going to school or participating in sports? How do they fare academically? 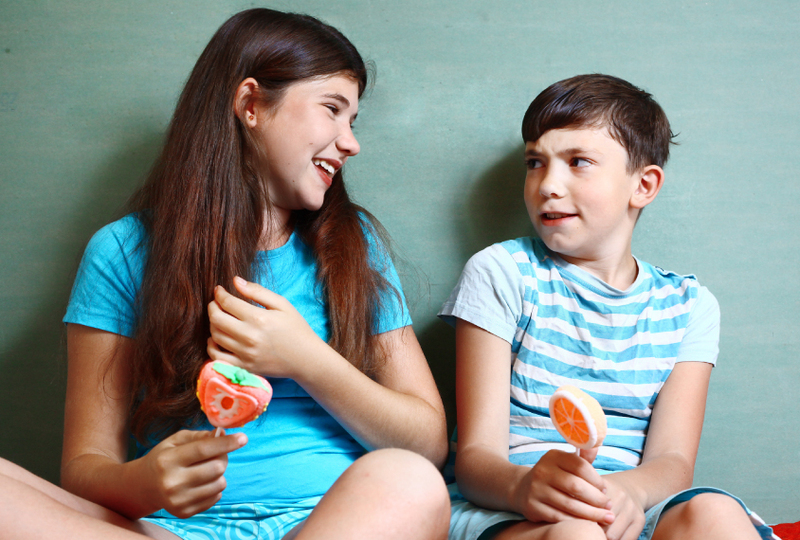 The researchers point out that not all siblings of children with autism develop difficulties at school age, but identifying young siblings who are likely to have trouble later could improve long-term outcomes. The team plans to follow the children through elementary school and beyond to determine how factors in infancy might influence long-term outcomes. Dr. Miller’s attitude is somewhat refreshing. I think we are losing the “scary autism” to be avoided at all costs mentality, and labeling siblings pre-emptively. Still, she speaks to appropriate services. I hate to be Debbie Downer, but didn’t Lord determine it didn’t make much difference in long term outcomes? There is a frightening amount of services deemed appropriate that may in fact be damaging, or at least, regardless of the exorbitant prices, ineffective.